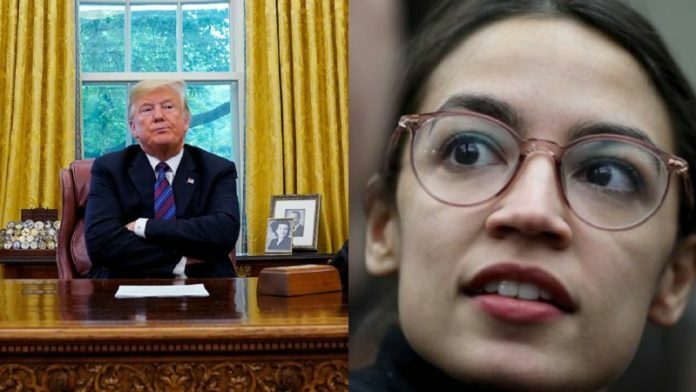 Though just one-in-three voters have a favorable opinion of freshman Representative Alexandria Ocasio-Cortez, if she were old enough to run for president in 2020, she’d give President Trump a run for his money. Generally 40 % always vote Republican and 40% vote Democrat. Elections are won in the middle 20%. This Cortez is missing some screws. She is a true embarrassment to our wonderful country. Scary that such an ignorant individual can actually get voted into public office. However; I don’t think she’d stand any chance whatsoever in any debate with Trump. He took down seasoned politicians, he’d chop her down instantly. Look at that. A nobody ditzy dunce being lapdogged by a disturbed fawning media.. Only in America.